Allison Cochran is a ceramic artist based out of Asheville, North Carolina. Originally from Ohio, she received her B.F.A. in Ceramics from Ohio University in Athens, OH. Allison’s education also includes studies in ceramics from Die Burg Giebichenstein Hochschule für Kunst und Design in Halle (Saale), Germany. She has been a resident at The International Ceramics Studio in Kecskemet, Hungary, Guldagergaard International Ceramic Research Center in Skælskor, Denmark, and was part of the first Advanced Student Project Network at the Red Lodge Clay Center. Upon Graduation, Allison returned to Montana as a Long-Term Resident at The Red Lodge Clay Center. Allison recently moved to Asheville, NC where she works as a mold maker and material developer at The Bright Angle Design Studio. I am using ceramics as a way to question the contemporary standards our culture has set through the influence of the media. I find we are directly affected by the images that surround us on a daily basis. Visually permeating, advertising sells us value, image and an overall perception of normalcy. I am interested in the way these constructed images affect our subconscious idea of gender characteristics and body image. Many of my own perceptions stem from my time spent as a college cheerleader. This immersed me in an environment where self worth was based on body weight and personal appearance. I saw first hand the measures taken to achieve a specific physique and became interested in the number of ways that people deal with control in relation to food intake. These include the act of portioning food, smelling food, chewing and spitting it out. 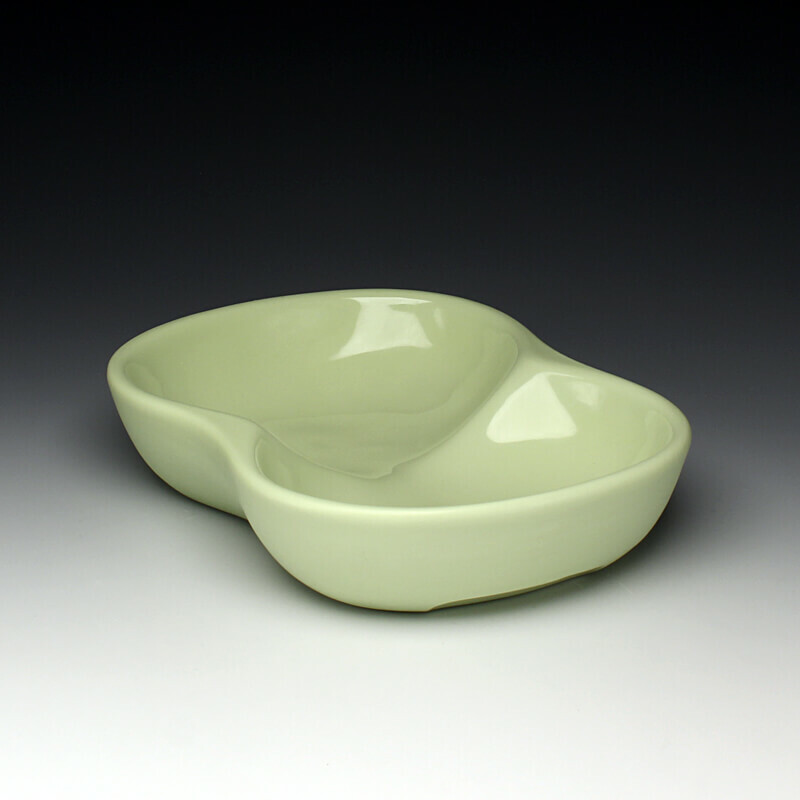 Currently, I am creating porcelain vessels that are designed to aid in the act of self-control over food. The vessels are intended to allude to the feeling of fullness and satisfaction by creating forms that are larger than the space designated to eat from. Small pops of color in these otherwise sanitary white forms give the user a domestic comfort regularly associated with the American standard of consumption.